In conversation with Saikat Majumdar about his new novel, 'The Scent of God,' the relation between art and politics, and more. What does it mean to write fiction in the context of religion today? 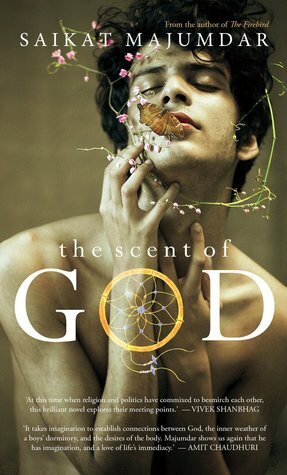 Saikat Majumdar’s new novel, The Scent of God, is a love story between two teenage boys in a boarding school run by a monastic order. The novelist talks to author and academic Tabish Khair, whose last novel, Night of Happiness, was set against the backdrop of faith and violence. Tabish Khair: Saikat, your new novel, The Scent of God, is quite different from your last one, The Firebird, which was largely a bildungsroman set in the theatre world of the mid to late-1980s. But this new novel is more directly concerned with religion. Did the shift just happen, or did you consciously want to take up religion this time? 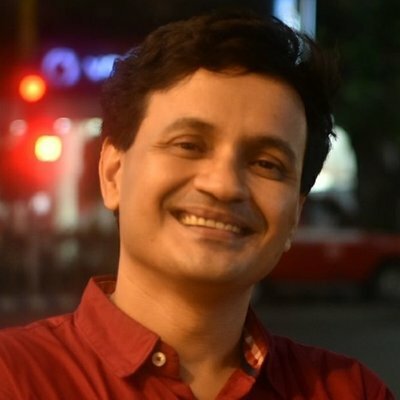 Saikat Majumdar: As a writer, I don’t feel I have much agency in choosing a theme or a story; it always feels the other way around. That the story chooses me. There’s always an element of compulsion. The sensory nature of Hinduism – as I’ve experienced it myself – always intrigued me. The smell of incense, the lyricism of its songs. But The Scent of God is also a novel of growth and education – of a boy older than the one in The Firebird. He grows up in a monastic boarding school, so religion – especially monastic spirituality – is a deep and sensual part of that growth. But it’s also a time of adolescence, and hence a sexual awakening. How do the spiritual and the sensual come together? I find it fascinating. Religion is such a compelling subject for artists, I’m sure you’ll agree. You, too, have written about religion in your last novel, Night of Happiness. TK: Yes, perhaps ‘compulsion’ is the word: it is almost as if a book is asking to be written. In the past, I guess they called it ‘inspiration,’ but ‘compulsion’ is closer to the truth, for the sources of the drive are not just internal or even singular. Religion fascinates me too because it tells us so much about human beings. Moreover, I have often felt that religious fundamentalists and the militantly atheistic are similar, and they similarly miss the core of faith. Because, finally, faith in a God, however defined, is recognition of the vast and not-totally-knowable complexities of our existence in this universe. When fundamentalists claim that God tells them to do this and not that, they are basically claiming to know the mind of God – and surely that should be sacrilege? Similarly, a brusque atheistic dismissal of the concept of God is far too simplistic. But having said all this at the philosophical level, I must also add that something quite different happens to and with religion at political levels. That remains a concern for me too. What about you? SM: That’s fascinating, Tabish. That reminds of what I once heard an Islamic priest say: that Islam believes God cannot be represented in sensory form as God is too vast to be contained in any one form, or in one person’s vision. But I also hear Rabindranath Tagore’s song: “I have dived into the ocean of forms to find the formless treasure.” That, for me, gives meaning and beauty to polytheistic iconography. As an artist, I’m deeply drawn to the sensory aspects of religion, even its rituals, which, I know, can also be deeply oppressive and exclusionary for many. Probably that’s why it is easier for me to immerse myself in it artistically, not as a believer in the religious sense. In The Scent of God, the young protagonist’s attraction to religion is deeply sensory, and ironically, so is the magnetic pull of monastic life. Monastic life, while aiming to transcend the sensory, seems to immerse in a different kind of sensuousness – the hymns, flowers and even the sensory mystery of celibacy. A bit like the vanishing halwa in Night of Happiness, right? But I suppose the significance of the senses is different in Hinduism and in Islam – what do you say? TK: All religions – and philosophical traditions too – seem to have these two aspects: an acute suspicion of the senses and the need to access and celebrate the world through the senses. I am afraid currently religious Muslims largely lack a complex engagement with this. Due to a combination of fundamentalist movements like Wahhabism and technocratic forms of modern rationalism, many religious Muslims are busy discarding rituals, reducing everything to the manual book of one set of revelations and a few accredited traditions around it. This, as it always happens, has left them more vulnerable to the coercive aspects of sensuality: so, for instance, they hold up revelations and accredited traditions to justify or discard largely sensual matters, like the number of spouses, or what to eat. It’s a typical Jekyll-Hyde situation: the more you try to separate, the more you get the other aspect. Hinduism had no need to go that way, but unfortunately, it appears that some Hindutva groups are desperate to turn it into a kind of Wahhabi-Hinduism. Do you, as a writer, feel any need to engage with such immediate politics? SM: The writer as an artist, I feel, does not have any specific political commitment. However, the writer is also a citizen, and that capacity raises a number of different issues. For me, the writerly need to engage with religion came from an artistic impulse, but having responded to that impulse and written on the subject, I now realise it also makes a particular political intervention. The celebration of the aesthetic of Hinduism, I feel, involves a genuine invocation of religion, but with a progressive vision. The story I try to tell in The Scent of God is about the personal and the intimate within the monastic community, questions to which the most generous and affectionate religious visionaries – not only Meera and Kabir, but the more modern figure of Shree Ramkrishna Paramhansa – were deeply receptive. This helps me to reinvigorate, if only in the artistic sense, the vision of what Ruth Vanita has called the Hindu Left, a subject on which I’ve had some rich and thoughtful responses, including this one by Prashant Keshavmurthy, where he points to many vernacular instances of what he calls Hindu socialism that I missed in the first article I wrote on this subject. SM: To be alive is to be political. There is no other way of being in the world. To say one is not political is simply to subscribe to a particular kind of politics, usually the wrong kind. Only the privileged can afford to deny the existence of politics, which is just another name for power relations that exist between people. The more difficult question is of the relation between art and politics. One can – and hopefully should – have a progressive political vision, one of freedom and equality, but that vision never translates easily into art. If it does, chances are it is bad art, of a didactic kind. There is something about art that makes you lose control, even responsibility. The political has been inseparable from all three of my novels, but the trajectory of politics has been destructive rather than constructive – certainly in The Firebird. And The Scent of God comes across as a love story with political undertones that might seem disturbing to anyone, with any kind of politics. TK: I wish we had more space to talk about losing control in art, for it also has a spiritual resonance, as in Bhakti and Sufi traditions, where one loses control in order to find oneself as part of something greater. But I suppose that will have to await another forum. Thank you, Saikat, and good luck with your new novel.